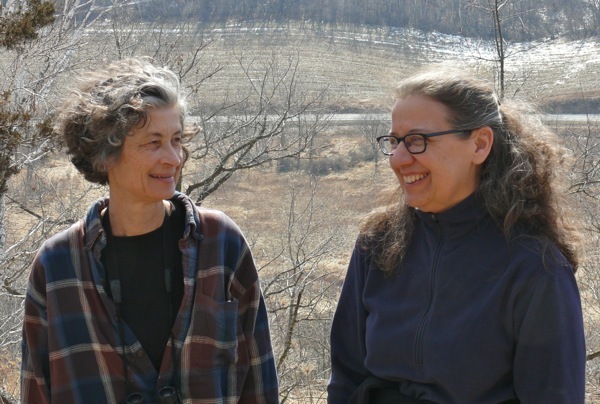 Spring birds have started to arrive – Robins, Woodcocks, and Turkey Vultures in the last several days, and Red-wing Blackbirds today – 6 or 8 of them at least – singing from the tops of the trees in the wetland. 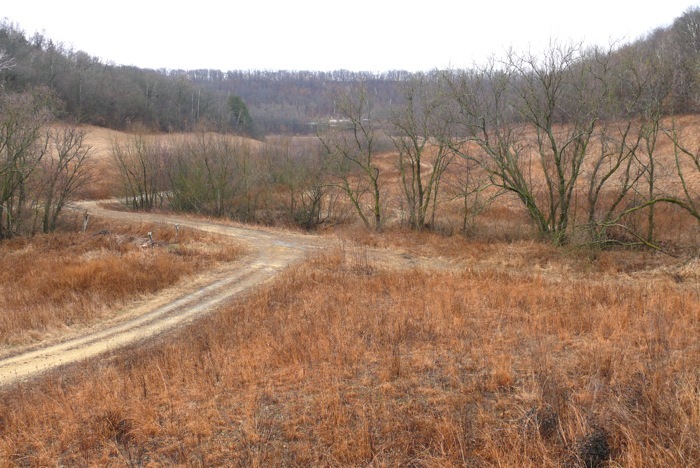 Last night I heard an American Woodcock doing his spring ‘dance’ in the field in front of the house. 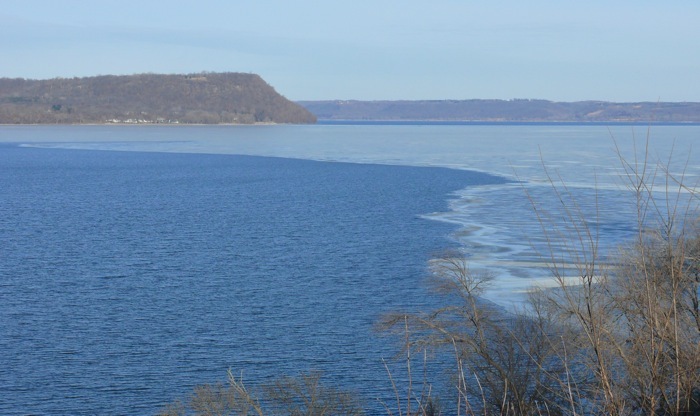 Lake Pepin is still slightly frozen – there are big areas of open water, and other areas of slushy ice and places where big sheets are floating and rocking against each other. 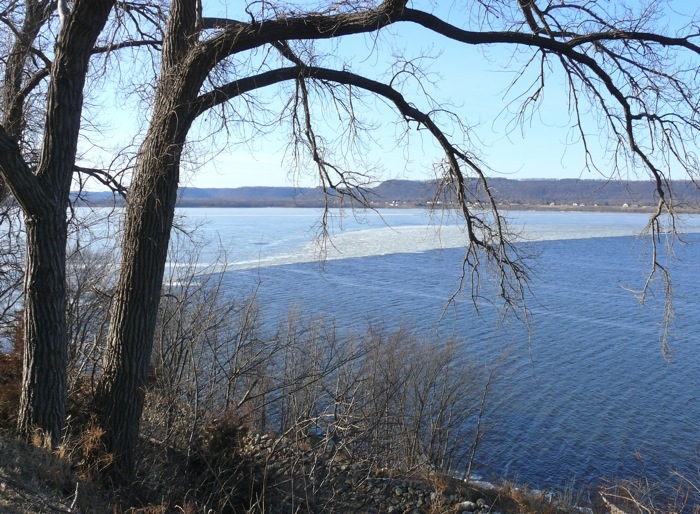 There are lines of eagles sitting on the edges of the ice floes. 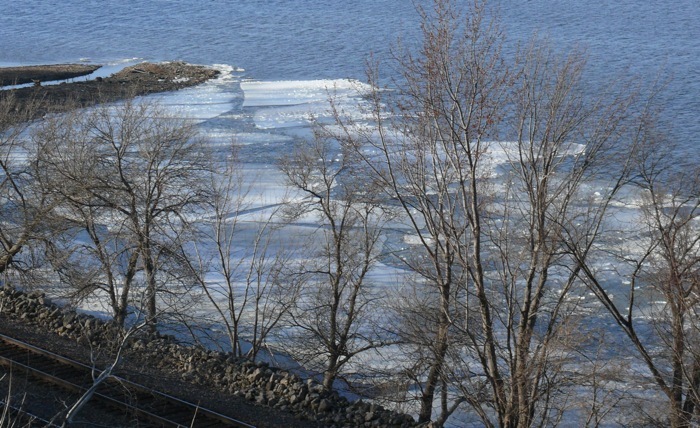 We had a couple of very warm days that melted most of our remaining snow. 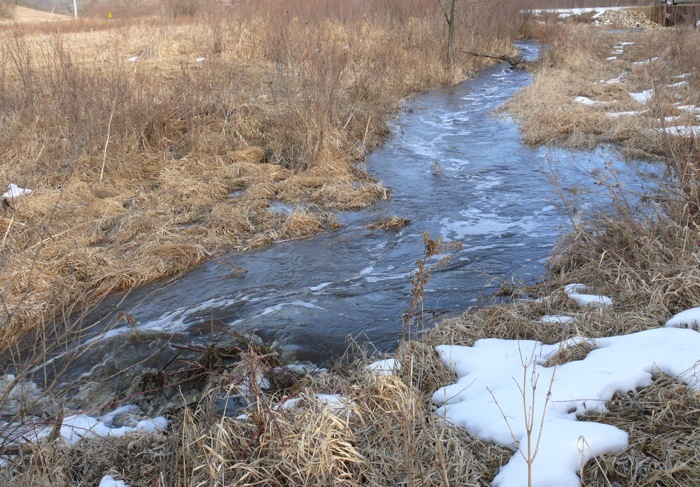 On days like that, our creek fills up and rushes along, sweeping away the beavers’ sticks. 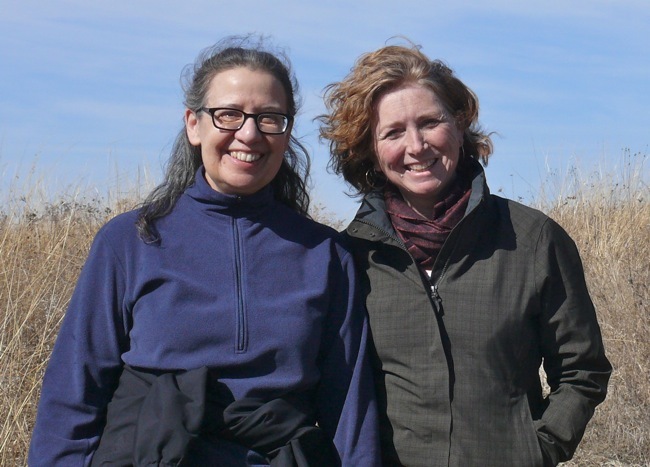 Patty and Martha came down for our annual “snowshoeing weekend” – not much snow this time! So we hiked instead. 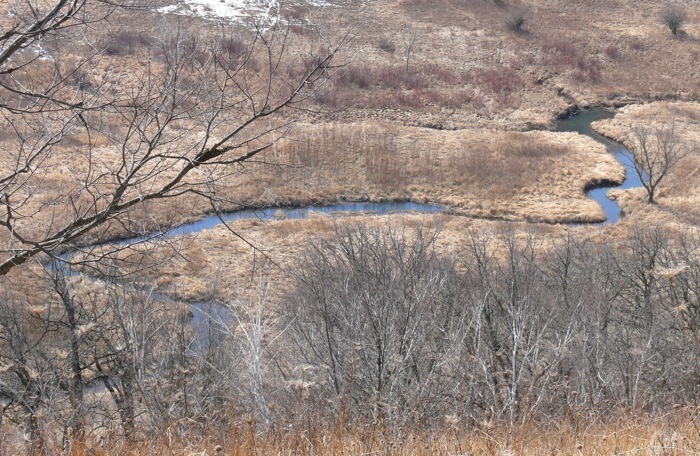 This is on the top of Sumac Prairie. 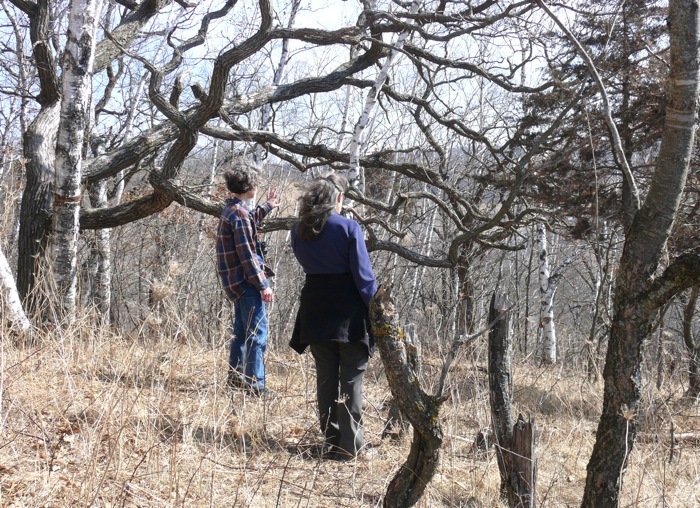 Inspecting the clearing I did last fall at the eastern edge of Sumac Prairie. We saw lots of Woolly Bear Caterpillars – also known as Isabella Tiger Moths. 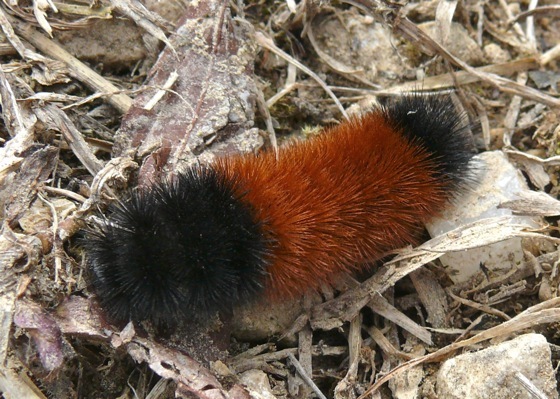 Woolly Bears spend the winter as caterpillars, and anytime the weather warms up a little, they come out of hiding and crawl around. 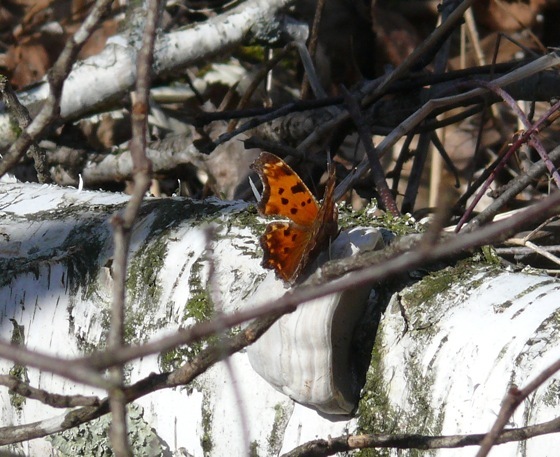 We saw the first two butterflies of the year – both Eastern Commas. 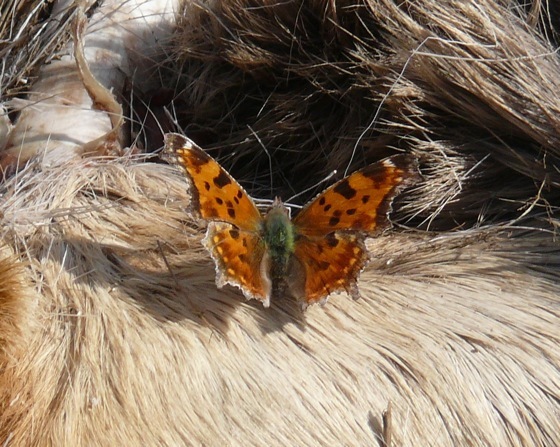 This one was resting on a deer carcass that the animals have been scavenging from all winter. And the other one was on a log. And we saw the first moths of the year. There were several small ones flying around during the day. 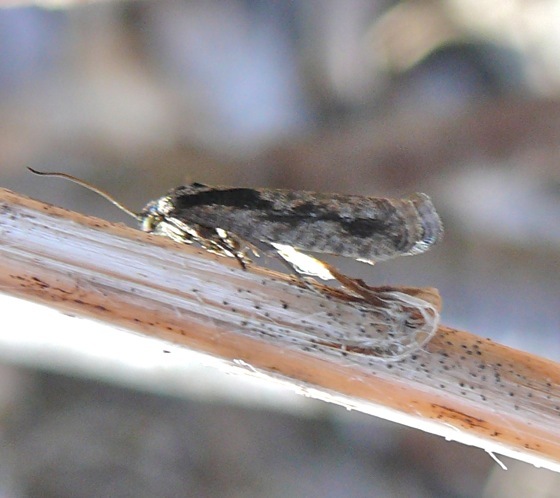 This is the only one that stopped long enough to get its photo taken – it’s about 1/3 of an inch long; probably in the genus Epinotia. 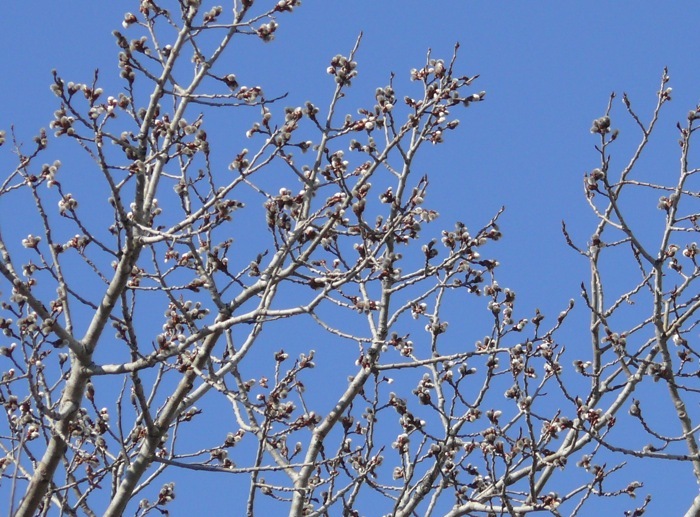 Several trees are blooming already – these are Trembling Aspen. 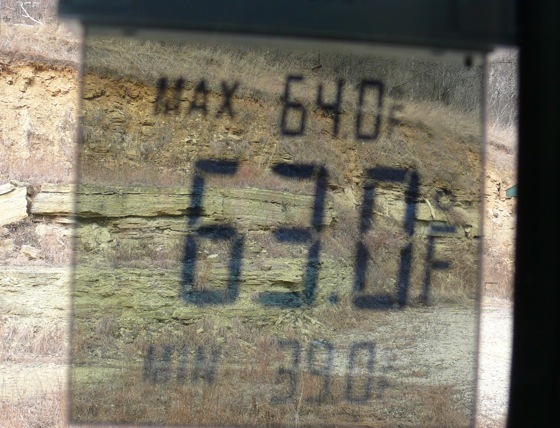 The thermometer when we got back from our walk – amazing for the 10th of March! 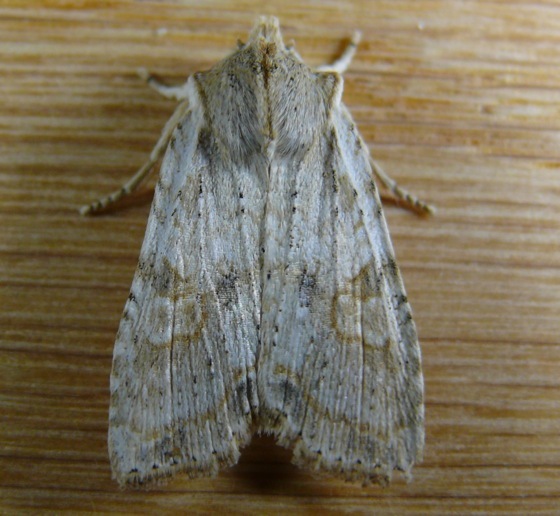 Last night I put out moth bait – a sugary mixture that mimics tree sap. I saw several moths and one mouse eating it. This is the prettiest of the moths – Bethune’s Pinion – I think. It’s worn and faded because it has spent the whole winter as an adult, hiding in a brush pile, or behind some bark. The next day we had rain, which melted the last of the snow. 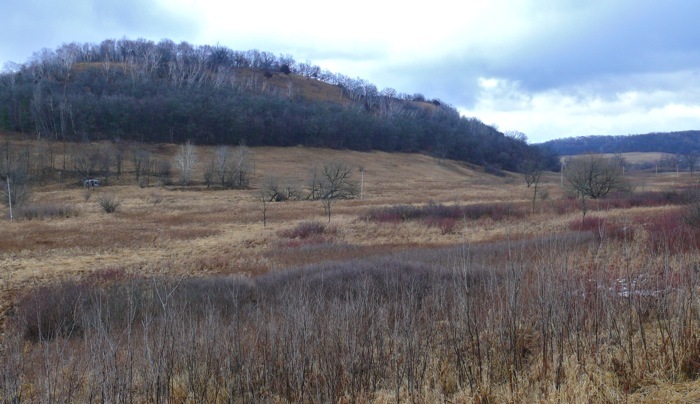 Rain looks and feels wonderful at this time of year – with everything getting ready to grow.